The Internet of Things (IoT) is changing the way we view video security, quite literally. Now, cameras need to be so much more than devices with which to simply capture images; they need to be far smarter than that. Today, cameras are becoming an integral part of the vast digital connectivity infrastructure, they need to be shaped into intelligent sensors that have the ability to extract invaluable data to help businesses make improvements in the area of video security, and beyond. If we take the automotive industry as an example, cameras used as intelligent sensors give vehicles an incredible sense of environmental awareness, and enables them to proactively prepare for, and respond to, the surrounding driving conditions. And, because cameras can ‘see more’ with data, drivers know if it’s a person, object, or the kind of vehicle it is they’re about to encounter. In fact, Bosch has research and development located of both automotive as well as security systems in Hildesheim, Germany. The base analytics algorithms developed for autonomous driving are also used for video analytics built-in to Bosch video security cameras. On a wider scale, the IoT has caused cities to transition into smart cities, whereby an existing video security infrastructure should be considered as a means to start collecting smart data to help optimize energy consumption by controlling urban lighting according to footfall, or ensure public transport is following a timetable, or control a sequence of traffic lights to optimize traffic flow. From a business perspective, it means an initial investment in video security can also be used for other business purposes. Bosch wants to shape this change by offering intelligent cameras, combined with the expertise of industry partners such as Genetec (governmental projects), ISS (tunnels, bridges and highways), Qognify (airport projects) and Milestone (public safety). Conventional sensors perform well, but they have their limitations. Whereas a motion detector can sense movement and trigger an alarm, a camera can scrutinize the whole scene in detail and provide vital information such as object type, direction, size, color and speed. Bosch has scrutinized and adapted the way we look at cameras in order for them to remain future-relevant, and end-users should too. The camera for the future is focused on information, not just imagery. Through constant innovation, Bosch integrated an in-depth intelligence into its cameras, so they not only capture the image, but the backstory, too. With data analytics, you get the who, the what and the when. This may seem counterintuitive, but cameras that are more advanced, more intelligent, and deliver more information are also more effective when it comes to privacy, because these are the devices with the most progressive user management features for efficient monitoring of access to video data. Experience has taught us that the most detailed, informative data captured is virtually useless unless it has the highest level of protection to keep it secure from prying eyes. When a camera is connected to the internet it enables users to constantly check its operational status and push security updates when required. But as technology in a connected world gets smarter, so do the hackers, which is why cybercrime prevention is paramount. 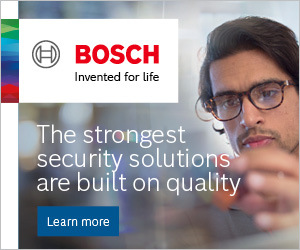 Bosch offers a full suite of data security measures. 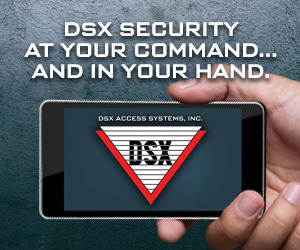 In addition to familiar steps to gain access, such as a strong password, all communications between camera and network are encrypted (cryptographic keys are safely stored in a unique built-in Trusted Platform Module), and have advanced user management settings to control access to data. And, as an extra layer of security, the video security cameras only allow Bosch-signed firmware files to be uploaded. So, in the event of a file becoming infected or corrupted, it will no longer be recognized as the original and it will not be accepted by the camera. It’s not an understatement to say that cameras such as those by Bosch, with built-in video analytics as standard and at no additional cost, have rewritten the rules of video security. That’s not to say the basic requirements have been dismissed. On the contrary, optimum image quality, the latest ‘future-proof’ video encoding, efficient bitrate management (reductions by up to 80%) and trusted data security will always be a priority. 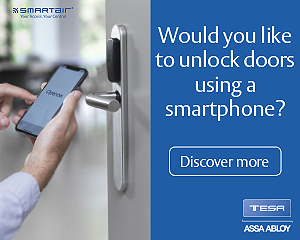 But it’s the added information and connectivity that sets Bosch cameras apart from conventional cameras, and makes them truly intelligent. The ‘i’ camera can seamlessly interact and share information with other smart devices, has the ability to perform tasks independently, and makes maximum situational awareness possible via detailed interpretation of data to ascertain the nature of an object (i.e. human or vehicular), its speed (average and maximum), direction of travel, color and size. With partners like ISS (Intelligent Security Systems), Bosch has been able to optimize its regular camera portfolio to integrate seamlessly into the infrastructure of ‘Smart Cities’; specific examples being the development of ANPR (Automatic Number Plate Recognition) cameras, enabling real-time traffic control with an unrivalled degree of detailed information via the accurate capture of license plates, and the optimization of a city’s energy consumption via smart lighting that responds to crowd volume and movement. At airports, too, Bosch has partnered with AnyVision, NEC and ISS once again to offer complete facial recognition solutions in the security area. Another recent example that demonstrates how the relevance of these intelligent cameras is resonating with customers is the Eurasia Tunnel in Turkey; an innovative, double-deck subterranean road link spanning 5km. Its unique construction and traffic configuration is quite an achievement, as is keeping that traffic flowing. By utilizing the built-in video analytics of selected cameras, the tunnel’s operators have detailed, reliable support when accidents need to be assessed immediately and accurately, not only to ensure swift dispatch of the emergency services, but also to provide the best level of information and assistance on their arrival at the scene. Essential Video Analytics or Intelligent Video Analytics? Bosch has developed smart video analytics in two formats, Essential Video Analytics and Intelligent Video Analytics, but which is best for you? Essential Video Analytics is ideal for regular applications, providing the ideal support for business intelligence (inter-network data transfer, for example), advanced intrusion detection for heightened safeguarding of commercial premises, quick and accurate retrieval of data, and bespoke control via alerts that can be set for specific locations or circumstances. Intelligent Video Analytics has all the capabilities of Essential Video Analytics, but has additional features specifically developed to make a critical difference in extreme situations. For example, in more expansive areas, like an airport perimeter fence, the system is ideal as it has the range and capability to provide analysis over large distances such as this. With a moving camera it is also possible to capture data on objects in transit, thanks to its Intelligent Tracking. What’s more, for roadside use, Intelligent Video Analytics is resistant against the most thunderous of vibrations, whilst in certain extreme weather conditions it can still operate where others fail, and continue to detect objects in heavy rain or snow. Bosch’ intention is to capture data that is not only useful, but gets used. It may surprise you to learn that, on average, only 10% of data captured gets used. Bosch aims to push that figure closer to 100%, by making intelligent cameras that are invaluable in making the streets safer, cars smarter, and businesses more profitable. Bosch believes the future of video security is more than just an image.